CSX’s turnaround expert Hunter Harrison is dead months after joining the railroad. A rich signing package and $10 bln added to the firm’s market worth showed his importance. If companies and markets think and act as if leaders are irreplaceable, key-man risks must be disclosed. 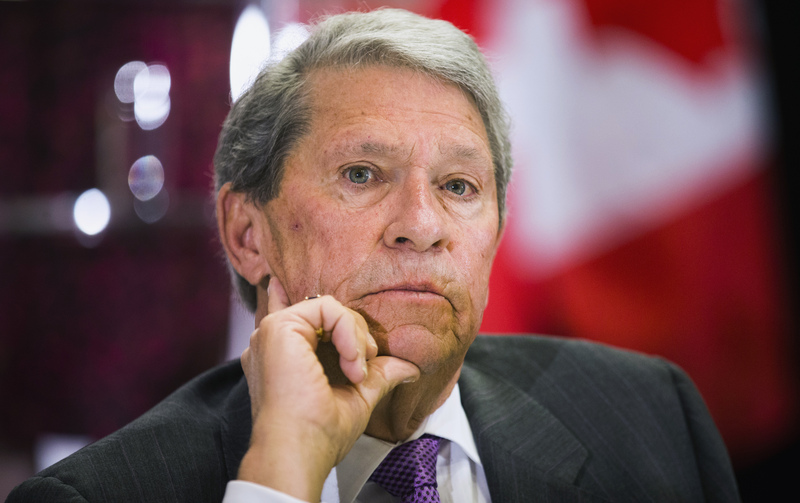 Hunter Harrison, CEO of Canadian Pacific Railway Limited, looks on before speaking to the economic community at a business luncheon in Toronto, March 2, 2015. CSX said on Dec. 16 that Chief Executive Hunter Harrison died due to “unexpectedly severe complications from a recent illness.” The railroad had announced on Dec. 14 that Harrison was on medical leave, and named Chief Operating Officer James Foot as acting replacement. The railroad signed the 73-year-old to a four-year contract in March, and the company paid $84 million to reimburse activist investor Mantle Ridge for costs associated with hiring him.